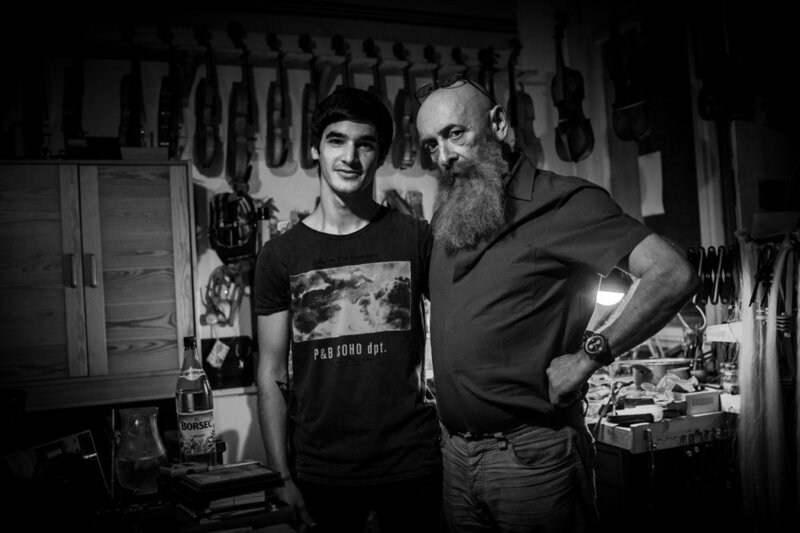 In Janos Markus Barbarossa's studio the first thing that our eyes rest on is the collection of musical objects, pictures, tools and paintings of the master. 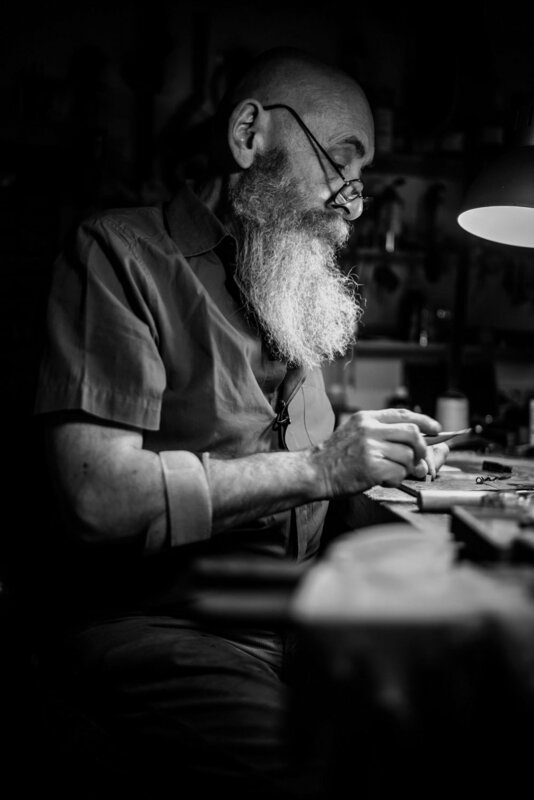 The intimacy of the place gives the impression that not many are allowed to enter the artisan's artistic sanctuary, filled with objects that seem to be telling their own story, but especially that of the luthiers’ craftsmanship. 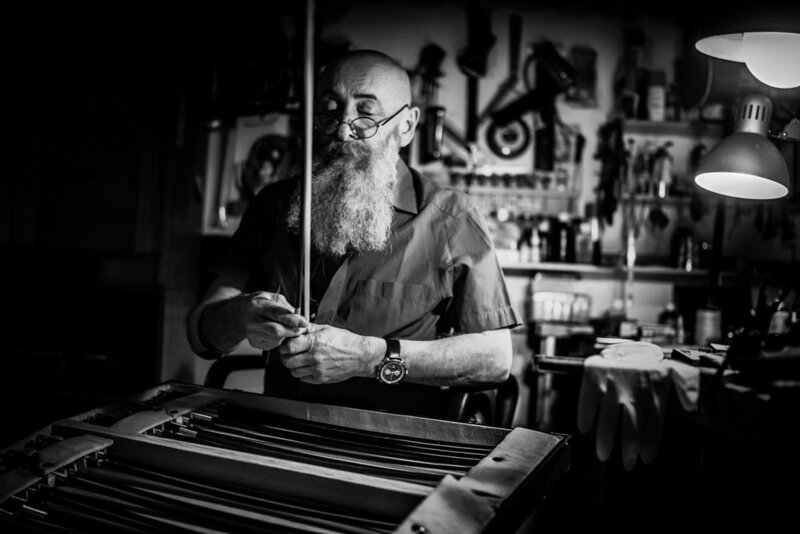 Janos Markus Barbarossa is not a simple luthier; he is a painter, graphic artist, photographer, sculptor, writer, old object restorer and musician. The secrets of his craft are gathered from all over the world, from the greatest masters. From his talented and skillful hands music comes out. The musical instruments he repairs or makes carry in them a rare mastery and a bit of soul that only a hard-working man can offer. On his face it reads tranquility and infinite dedication to his work. In each created musical object, the luthier’s craftsmanship leaves a lively touch and harmony.